Here are two nice pieces of jewelry sent in to me recently. The Vespa necklace is $16.50 and the Vespa earrings are $28.00. 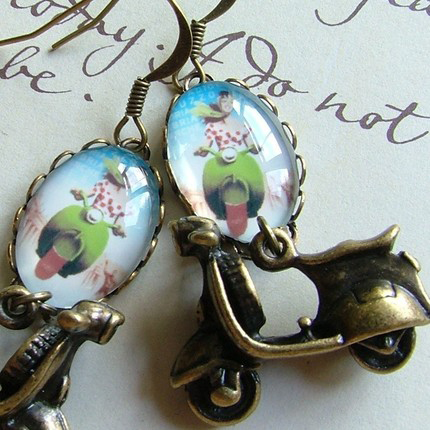 This entry was posted in Jewelry and tagged Charms, Jewelry, lambretta, scooter, vespa by Tracy. Bookmark the permalink.